Microsoft says BlackBerry a security risk for Obama | BlackBerry Blast! Despite numerous reports that President Barack Obama would lose his BlackBerry to the Secret Service, the President is keeping his BlackBerry for personal use. According to the Wall Street Journal, Microsoft doesn't think that's such a good idea. "You would be sending your data outside the country," says Randy Siegel, a Microsoft enterprise mobile strategist who works on federal government projects. "We wouldn't want the casual musings or official communications of the most important person in the world being intercepted by others." Mr. Siegel argues a better alternative would be a device like the Sectera Edge, which is approved by the NSA. 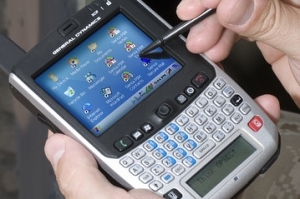 It just so happens that the Sectera Edge runs Microsoft's Windows CE. Microsoft is probably right on this one, but who cares about personal emails? I'm sure Barack Obama will rotate several BlackBerry devices that aren't in his name. He probably won't be sending many emails anyway. If he does, he's crazy. He should use the device to read email from his family and close friends and leave the rest to his secure devices. Check out the full article at the source link below.